So Many Stamps So Little Time: Celebrating my 1000th Blog Post! Hello friends! Today is a big day for me, my 1000th blog post! (And it is my son Cameron's birthday which is super awesome also.) I really can't believe I have written out 1,000 blog posts. Where did the time go? My first post was in 2008. Six years later I am here today, as in love with this hobby as ever and I am so thankful for the friendships I have made along the way. Since Christmas cards are my favorite, I thought I would share a couple of those with ya. 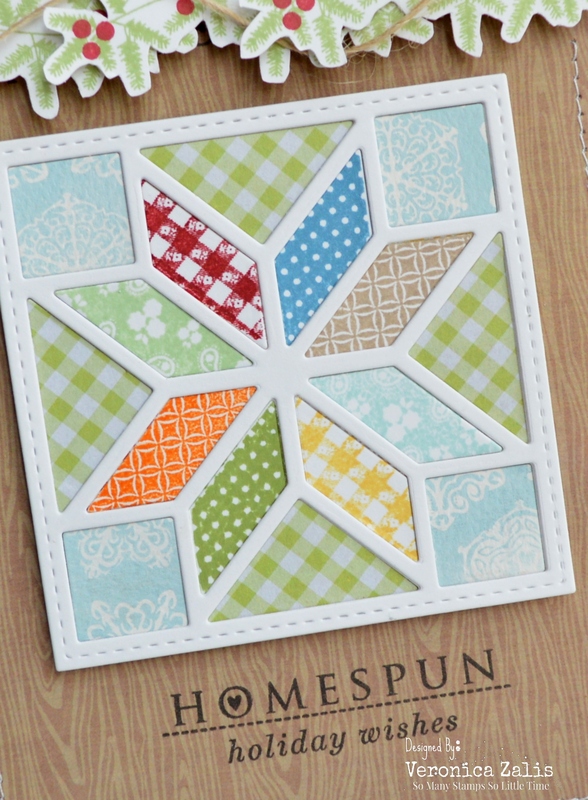 My first card features the Papertrey Ink Make-It Market County Fair quilting die and coordinating stamps. 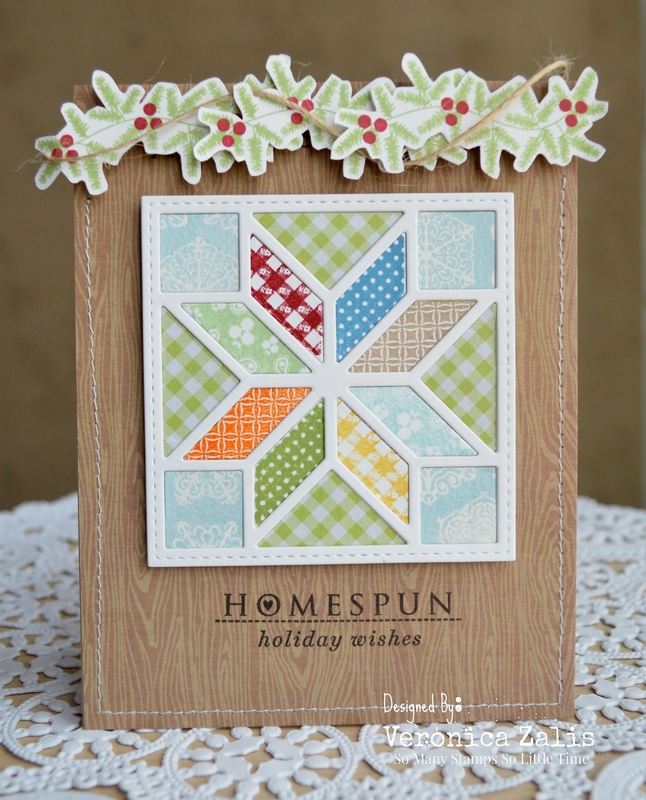 I also used the pine bough stamp builder from the PTI set Love Lives Here: Holiday. My second card is a less traditional card featuring stamps from the Papertrey Ink stamp sets Circle Scribbles and Holiday Photo Finishers. 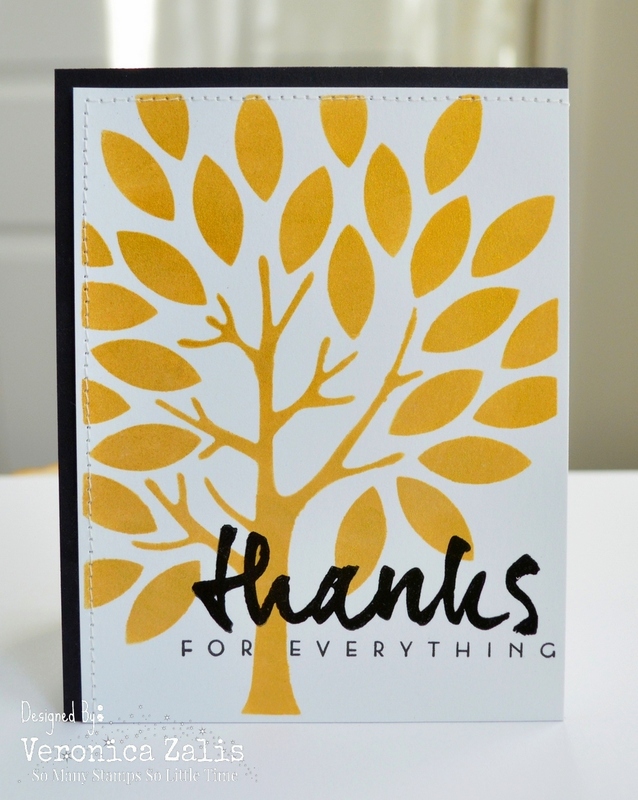 My third card, a Thank You card features the PTI metal plate Mighty Oak. I used the plate to create my stencil. Next using a sponge and Gold Delicata ink I sponged the stencil to create my golden tree. 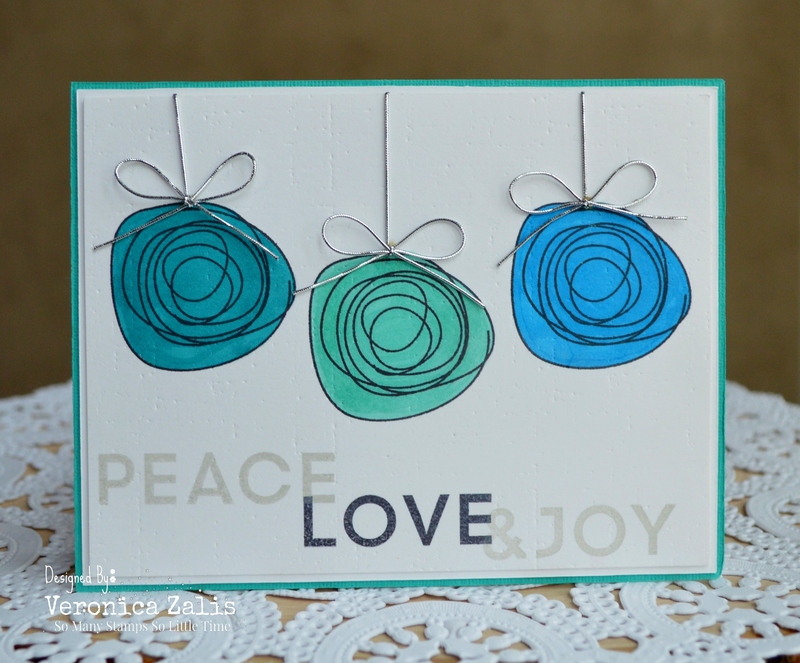 The sentiment is from the Wet Paint set that was stamped and heat set using black embossing powder. Thank YOU for everything, for visiting my blog, for leaving comments, and for being my friends. As a THANK YOU, I am offering a pretty sweet blog prize to one lucky commenter! The November Stampin' Up! Paper Pumpkin Kit. To be eligible for my giveaway just leave a comment on this post! A big congrats on 1000 posts! What an accomplishment! Your cards are always fabulous! Big congrats, gf!!! Love these awesome cards! So very pretty!!! Congratulations on your 1000 post....and Cameron's birthday! You are so talented! Amazing Idea with the CIRCLE SCRIBBLES as ornaments!! 1000! That's pretty huge! Congrats on the milestone! Loving that quilted card!!! Woohoo! Congrats on 1000 posts! Your cards are always so amazing! Hugs! Well wow 1000 posts! That's huge! Love your blog and your creativity! Congratulations!!! These are all SO pretty, I can't decide which is my favorite! So love all your work! :)! Congrats on your 1000th post miles stone! Pretty awesome kit, thanks for the chance to win. Congratulations on 1000 posts! This is my first comment (just recently found your blog)and am thrilled to be here. Congratulations on your 1000th post. As always your cards inspire me. WOW!! Your cards are all gorgeous but I am so impressed with that quilted card! Beautiful design and great paper combination! Congrats on your milestone!! Loved watching you create with your kit and and even felt energized by the music!